Foam is proud to present the exhibition Tereza Zelenkova - A Snake That Disappeared Through a Hole in the Wall. According to an old Slavic legend, a snake inhabits people’s homes and brings happiness and prosperity to the household. This ‘snake housekeeper’ was traditionally welcomed with a bowl of milk on the threshold. The story is one of the many folk tales from the Czech Republic which Tereza Zelenkova (1985, Ostrava) seeks to revive. Over the course of two years, the artist accumulated numerous stories that formed the starting point for extensive journeys through the landscape of her childhood. Zelenkova unearthed tales that hover somewhere between history and myth. 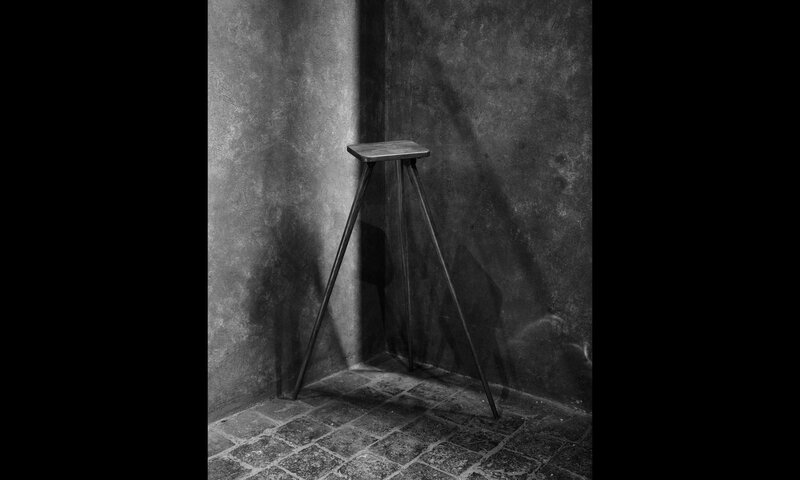 She photographed a hole in the bedroom wall of the ruthless sixteenth-century countess Elizabeth Bathory, who was said to bathe in the blood of virgins to preserve her youth. A door in the Gothic Houska Castle allegedly leads to the entrance gate to hell. And the centuries-old Byci Skala Cave – a rich archaeological site that is also considered a sacred space – turned out to be a mass grave for ritually sacrificed women. Besides local histories and folk tales, the artist was inspired by the sinister nineteenth-century poems by Karel Jaromir Erben and the fairy tales by the Brothers Grimm and Hans Christian Andersen. She also visited the places that feature in the scientific literature by the Czech geologist, meteorologist and philosopher Václav Cílek, and in Gustav Meyrink’s descriptions of the city of Prague. Where reality ends and the imagination begins is irrelevant: science, religion and mythology seamlessly merge in Zelenkova’s magic realist scenes. In contrast to her subject matter, Zelenkova’s work method is straightforward and factual: the mysterious, sometimes outright baroque scenes are typically photographed head-on with an unforgiving flash. With her camera Zelenkova isolates and collects her findings almost like a scientist organises his specimen. Together, the images present an archaeology of a fantastical reality. Visit and revisit Tereza Zelenkova’s work at Foam 3h, other exhibitions and events as a Foam Member. 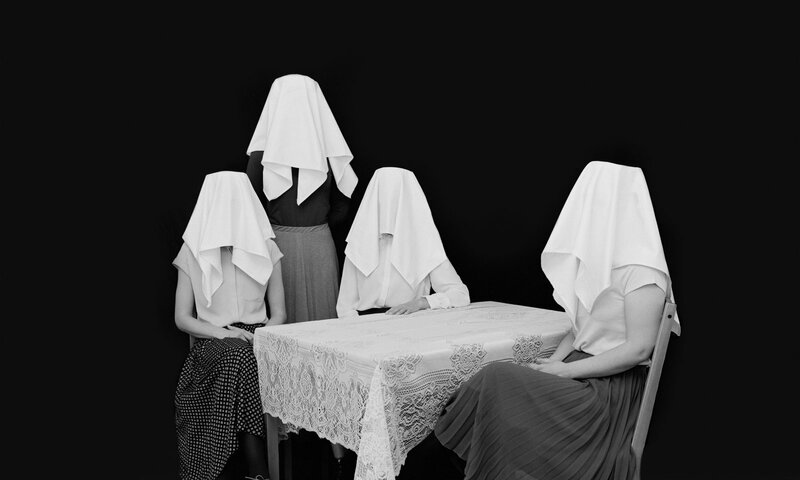 Tereza Zelenkova (1985, Ostrava, Czech Republic) attained her MA in Photography at the Royal College of Art in London in 2012, and her BA in Photographic Arts at the University of Westminster in 2010. Her work featured in group exhibitions in London’s Whitechapel Gallery (2017), in Le Bal in Paris (2015) and Musée de l’Élysée in Lausanne (2015). Her work has been included in the collections of Saatchi Gallery in London, Museum Winterthur in Switzerland and the V&A in London. She has published three books: Supreme Vice (2011), Index of Time (2012) and The Absence of Myth (2013). Zelenkova lives and works in London. This exhibition is made possible with support of the Gieskes-Strijbis Fund and the Van Bijlevelt Foundation and Kleurgamma Fine-Art Photolab.